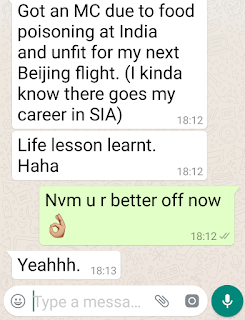 Exchange of WhatsApp messages between me (green) and a stewardess yesterday. She was unjustifiably sacked due to her medical records. only the weak minded, less educated and less ambitious crew will sign their life to sq. once they reach retirement age, they will only realize they are unable to retire cause all the money has been squandered away to self created fine dining entitlement and night drinking. For all you know she may not be giving you the truth. 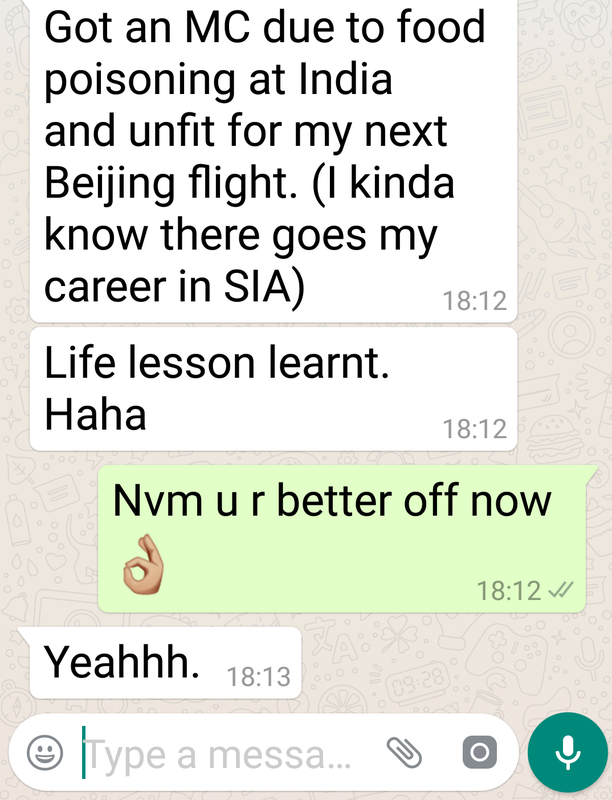 I heard of a crew with poor MC records (never even submit chits) and pilferage in aircraft. Kena CI together. 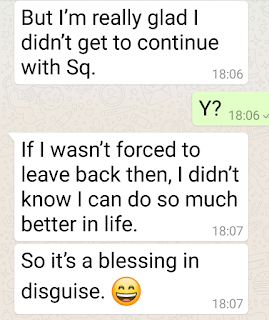 She told everyone cuz of the MC but conveniently neglected to mention about the pilferage. She was on probation and must have taken excessive MCs. 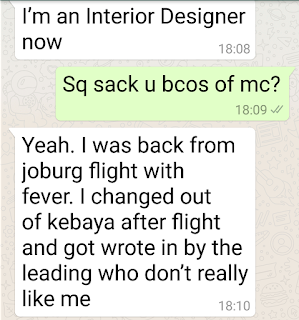 SQ has zero tolerance for probationary crew who takes many casual MCs. Good riddance! Confirm not the whole story, more then meets the eye. We know what sorts of crew gets the sack... the worst type with many serious lapses. Yes, you can’t get sack for MC but too much MC over the years might not get you the contract renewal. Into SIN you don’t have to clear immigration in uniform while paxing, LS writing in that will get back fire On himself. 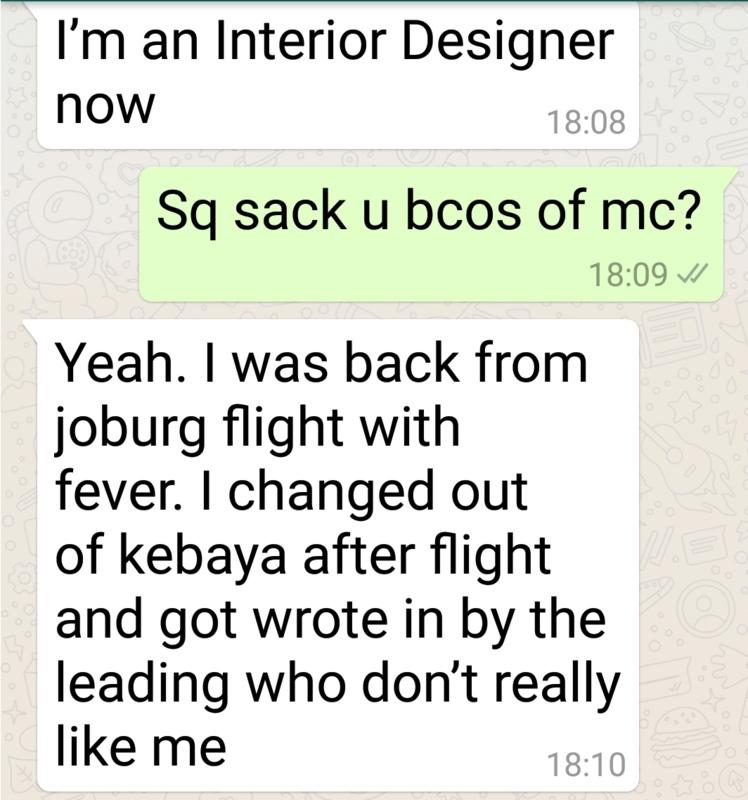 In MY,not only will some employers try to get rid of u by complaining about your MC but also when u take long lunches,the latter being inevitable when u need to look for halal food in a predominatly non halal area.I'm with the stewardess on this one.Some employers will try anything to get rid of certain employees. 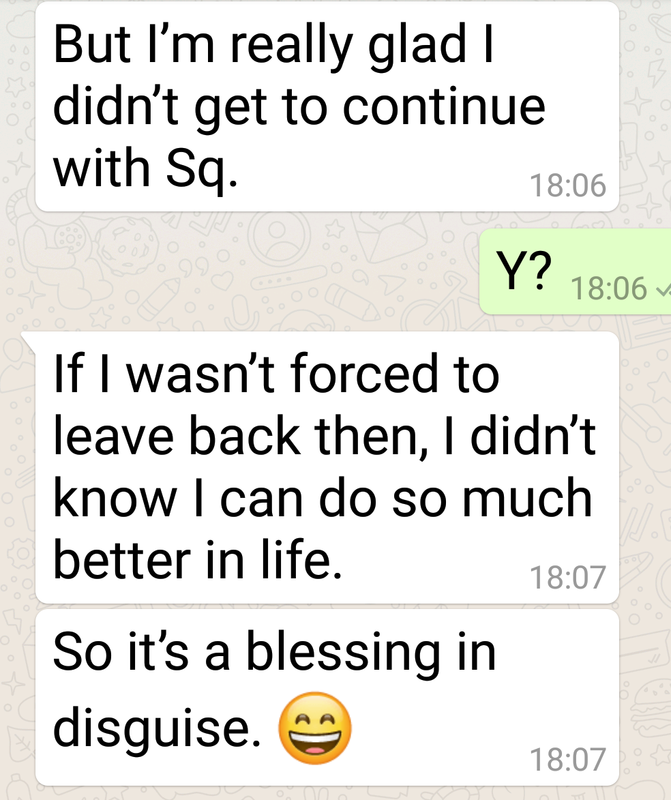 Before u join them they will do anything to persuade u to join them but after u do and they think they made the wrong decision to hire u,they will try dubious ways to get rid of u.
being glamorous, that is why there will be a queue.